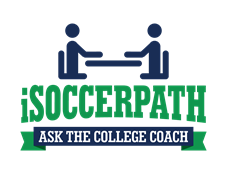 We learned from one of the iSoccerPath college panels that Division 3 soccer does not offer athletic scholarships. However, what other rules should we know about that are exclusive to D3 programs? Do you have official visits? When can our son apply and when do they get accepted into the school and the soccer program? 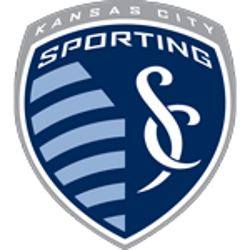 Our son has very good grades and test scores and wants to go to a school in a conference that has schools that allow for a less soccer schedule during the year. Thank you so much for providing us some direction. 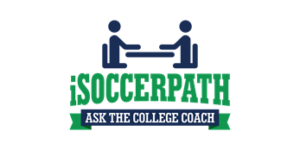 Division III soccer does offer an excellent option for a student athlete who does want a good balance between athletics and academics, thus many of the Division III rules are geared toward that end. In addition to not offering scholarships, the athletics program is not allowed to affect the financial aid package of the student athlete. In other words, the school itself is responsible for dictating the amount of financial aid that someone will receive not the athletics coach. This creates an environment where student athletes commit to play without separation created by athletic scholarships, and also for reasons not influenced by direct monetary reward. Moving away from the financial aid picture, the playing seasons are slightly shorter, as dictated by the NCAA calendar, in order to give student athletes more time to embrace other opportunities that the school offers them. For example, the Division III calendar prohibits any official game to start prior to September 1, which in turn means a later return in preseason somewhere in the middle of August. That’s opposed to the Division I and II calendar that officially starts preseason in early August along with official games approximately 10 days earlier. At the end of the Fall season, our National Championship is at the start of December, whereas the Division 1 championships are a week later, thus the Fall season is about one to two weeks shorter on the front end and about another week on the back-end of the Fall season. Continuing the theme, in the spring, Division III schools are only allowed five weeks of instructed practice which is about half of the time that Division I programs are allowed with their coaching staff. During that five-week training period, there is only one official game date in the spring season, as opposed to five at the Division I level. 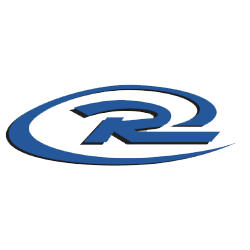 Because of some of the legislation in Division III, to balance and keep our programs strong, the Division III recruiting rules are more relaxed than the other NCAA divisions, which means that there are no set NCAA Division III Recruiting Calendars, thus college coaches at the NCAA Division III level can contact and recruit without certain dead periods, contact periods, and quiet periods. With approximately 410 men’s soccer programs at the Division III level, finding quality student athletes is a challenge, but not one that is impossible to fill due to the lessened contact rules. What really differentiates the process here is that you can call college coaches and they can call you back as often as they’d like, as opposed to the Division I and II levels. In the recruiting process, some rules that are different are the tryout process, which means at Division II institutions, prospective student athletes may participate in an official training with the team they can, but at the Division 1 and Division III levels, this is not permitted. Regarding official visits, while many schools call them that, you’re unlimited in the Division III level on how many visits you can take which gives you a great opportunity to view as many options as possible. These do not count toward your five Division I visits mostly because many Division III visits are not offering other financial incentives during the visit. When discussing the application process almost every institution handles their ability to tell a student if they are admitted differently. Primarily Division III schools officially inform their prospective student athletes in early decision I and II, with the Deadline for ED 1 anywhere from Nov 1-15. It is very rare to have someone committed to a Division III school prior to that date because of the typical admissions standards, but with the ability of some division III schools to provide an early read, sometimes coaches can get a head start on that process as well.